State Energy Inspection Services provides pipe inspection for casing, drill pipe and tubing for the oil and gas industry. Since 2000, State Energy Inspection Services has continued to expand its operations and abilities by providing premium pipe inspection services to the oil and gas industry. 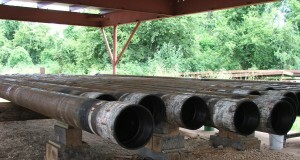 All pipe inspection services we offer are primarily for new and used casing, drill pipe and tubing. With over 100 years combined experience in the pipe inspection arena, State Energy Inspection Services is well endowed to provide pipe inspection services at our equipped facility in Houston, Texas. If you require State Energy Inspection Services to visit your facility to inspect your pipe then take advantage of our Mobile Pipe Inspection Unit and Mobile Power Generator.